Nearly one in seven American adults has used an online dating website or mobile dating app. Usage has doubled for 55-64 year-olds, and tripled among 18-24 year-olds since 2013, according to Pew Research Center. The UK is not far behind, with seven million dating website users in 2016. Yet online dating is rife with fraud. Why? According to the Better Business Bureau (BBB), law enforcement and other agencies receive thousands of complaints about online dating websites every year. Luckily, there are several online dating merchant best practices to minimize chargebacks and fraud, while maximizing customer retention. Payment processors view the online dating industry with suspicion. For example, underwriters have discovered websites that are money-laundering fronts for prostitution and other illegal activities. For legal online dating businesses, customers engage in friendly fraud. They make legitimate purchases with these card-not-present (CNP) websites, and then dispute the charges, often due to buyer’s remorse. If their paid membership isn’t quickly rewarded with matches that turn into dates, they can blame the merchant and seek reimbursement. Others use dating services to cheat. If caught, they’ll deny signing up, and will file chargebacks to protect their relationships. This was common during the Ashley Madison hack, where customer information was published online. 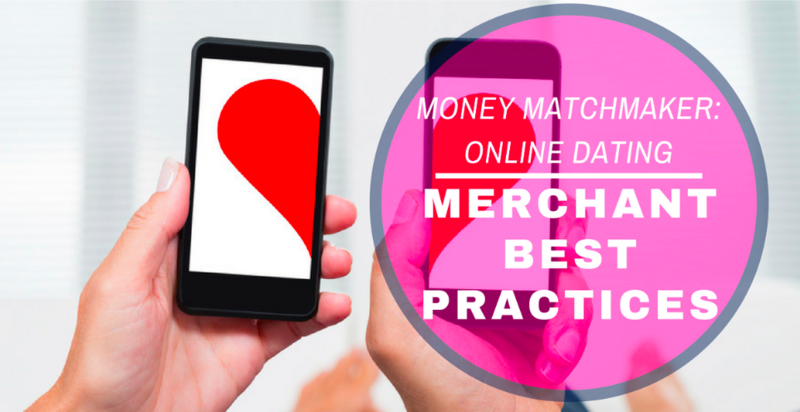 How do you minimize chargeback and fraud risks by following online dating merchant best practices? Keep reading. Begin following online dating merchant best practices by choosing a solid credit card processor. Avoid fly-by-night companies and look for those that offer ongoing support, fast funding, flexibility, recurring billing, and risk-management. From these you can filter for providers that have low application and set-up fees, and competitive monthly pricing and transaction fees. To scale your business, choose a payment processor that offers unlimited pricing and multi-currency processing, and confirm that their system will seamlessly integrate with your dating software. Online dating merchant best practices include optimizing the rebill model. According to PMNTS, subscription merchants should focus on three attributes: speed, security, and choices. Free, or low-cost trial memberships incentivize skeptics to try online dating services, but they can lead to chargebacks when trials unexpectedly convert to paid subscriptions. To minimize this risk, validate payment details at the time of signup, with $0 or $1 preauthorization, and include CVV and billing address authentication to confirm possession of the physical card. Avoid unexpected customer charges by sending reminder emails just prior to converting free trials to paid memberships. Let customers know how your company billing information will appear on their statements, and provide multiple ways to get customer support. You might even consider 24/7 customer service, and online chat for discreet users. Protect subscribers from fraud by maintaining PCI DSS compliance. Authenticate all new users and have a good risk management process in place. Your Terms of Service should clarify how and when trials convert into paid subscriptions, and your cancellation policy. To maximize conversion and retention, build a mobile-friendly website, and consider developing a mobile dating app, as swiping and chatting in a mobile environment are similar to impulsive interactions in the physical world. Make your checkout process intuitive, particularly on small devices, and look into technology like tap-to-pay to simplify the process. You’ll want to offer multiple payment methods at checkout. Let people use any major credit card, and if you can get approved for an electronic wallet service, such as Google Pay, then add that as well. As a subscription service, you’ll want to minimize churn. Sometimes recurring billing fails when customers neglect to update their payment details, or when cards are overdrawn or expire. Dunning Management is used to manage these complications. Online dating merchant best practices include customer alerts for declined transactions, with payment links in emails and text messages. Some billing systems can be configured to retry charges periodically until the payment is accepted or a threshold is met. As an additional layer of protection, try an account updater service, where a third-party provides updated payment card data without requiring customer interaction. Another way to reduce churn is with membership rewards. Let subscribers earn points every month when their subscriptions renew, redeemable for account upgrades and special services, like virtual flowers and hugs sent to other members. Try to get a sneak-preview of back-office applications. These services can be complicated, and you’ll want an intuitive dashboard for tracking subscriptions. It should facilitate up-sells, cross-sells, downgrades and cancellations, including chargeback management. Online dating is not tied to a physical product, so you can sell your service almost anywhere, provided you have a way to process transactions. The international market is huge, so choosing a payment processor that’s capable of multi-currency transactions is among online dating merchant best practices. Translate your website into multiple languages and enable popular payment options that are popular in countries outside the US, like WhatsApp. While your competitors may neglect online dating merchant best practices, you can maximize your chances for success by choosing your payment processor carefully, and mapping out a plan for dealing with fraud, chargebacks and churn.